Each year, like most companies, Stardock puts together an internal business plan that sets up goals, objectives, and challenges that the company must address. Part of our internal business plan includes analysis of the state of the products/services we make as well as the results of our customer survey. Last year, we made this report available to the public and based on the positive response we got for doing so, we’re doing the same again this year. 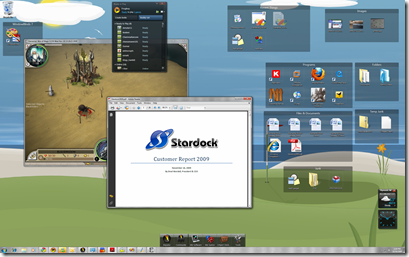 We will then conclude with the 2009 customer survey report that was sent out to approximately three million Stardock customers. Are you able to give a rough estimate of how many survey responses you got back of those ~3 million? Although i have to say that Impulse looked much prettier in 2008 ( I didnt use impulse then just look at the picture of it). I really like and appreciate the visibility. I work for a large .com, and evangelize StarDock (utilities, specifically) with the many developers and other technocrats that freely roam our campus. I do project management for software development (delivered to primarily internal customers), and normally have a policy of very carefully controlled stonewalling over the release of detailed information to anyone. This is precisely to avoid unrealistic expectations and to dodge black-eyes when unforeseen problems arise. From that perspective, and only dealing with internal customers, it has always been a marvel at how open and freely you share information. As a customer and a patron, it instills a lot of confidence and loyalty. There is good stuff in there. Please keep it up! 1) I noticed you used Dawn of War II as an example of being locked out of a game by SteamWorks. Please consider that yes, I did buy this game, but only because I really wanted it. 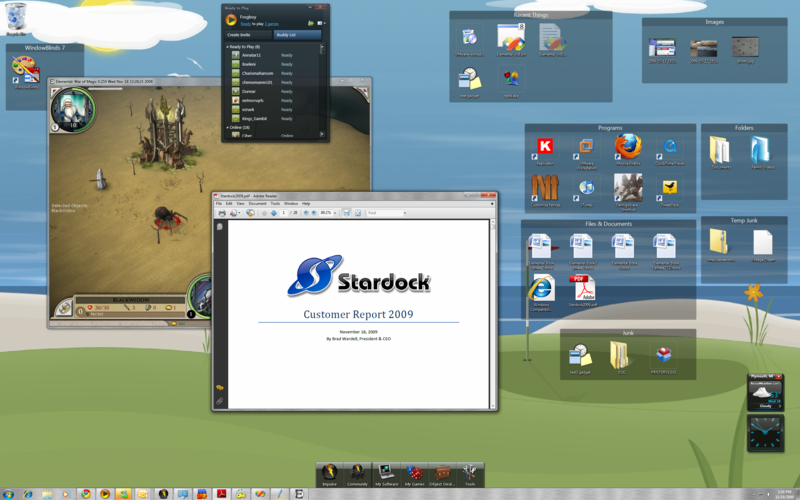 However, I normally avoid Steam and Games for Windows like the plague. Please do not consider using the same tactics with Impulse... it's a step in the wrong direction. Right now if I pick up a game off a shelf and it says "Impulse" on it, it does not turn me off from considering buying the game. 3) For VoIP in Impulse don't use a closed architecture. Please use something open like SIP for message control. Infact, with all the work you've done for demigod peering, using sip and making it work should be a breeze. This would also probably be a money making possibility, where you could lease team servers for Impulse much like Ventrillo. Now, going back to SIP. You could possibly let people build their own clients / servers if they know what they are doing by going this route. Think of it as modding new features for the voice system, which you could then include officially once the community demands it. The great thing about SIP is it allows you to support custom extensions while still working with the basic features on other systems. GSB has been there for quite some time. I got it off of Impulse some months ago. OK I failed on GSB... I will buy it from Impulse for my Christmas present. However, let this be a lesson that you aren't advertising the right games to me. Also, more practical free software would be awesome. All you need are a few must have apps and people will download impulse just to have them through word of mouth. Great read. I'm looking forward to seeing more stuff on Impulse. IF you guys can get NCSoft on board before the City of Heroes expansion comes out I promise I'll buy from you!